Just like the world of medicine, dentistry also offers a continuous advancement in technology for the purpose of achieving optimal dental care. The latest and greatest technology advancement for dental procedures is the use of lasers. Lasers have been around for a while now, and have been perfected for treating specific oral conditions such as cold sores, apthous ulcers, gingivitis, and periodontal disease. Treating herpetic lesions, otherwise known as cold sores, used to be treated with oral medications and topical ointments. Today, patients who suffer from cold sores are treated with spot laser treatment to the affected area. Because herpes virus cannot be entirely cured, the best option is to try to keep them away. – Sometimes the occurrence of cold sore lesions is just unavoidable. For those of us who have suffered from a cold sore in the past know the early sign of a cold sore, a tingly sensation of the affected area. This is the best time to treat the cold sore. The sooner you can get into our office, the better the results are of the laser treatment. The laser treatment is easy, painless, and only takes a few minutes of your time! The laser works by stimulating the cells below the surface encouraging faster healing time. This is a noninvasive procedure called sulcular debridement, also referred to as laser bacterial reduction. It is great to treat inflammation because it reduces the bacterial level below the gum line from millions to hundreds. The procedure is so simple that even anesthetic is not always necessary! By killing all of those bacteria, the tissue responds with decreased inflammation allowing the patient to easily maintain healthy gums at home. In more severe cases of periodontal disease where bone loss is present, the laser can be activated to stimulate bone growth and remove diseased tissues. This procedure is very effective when done in conjunction with a procedure called scaling and root planning or commonly known as gum therapy. These new procedures and techniques allow us to treat patients to our best potential and help them keep their smile. Have you ever seen a gummy smile? Or, have you noticed that someone’s teeth look too small? Well, the laser can fix even this! 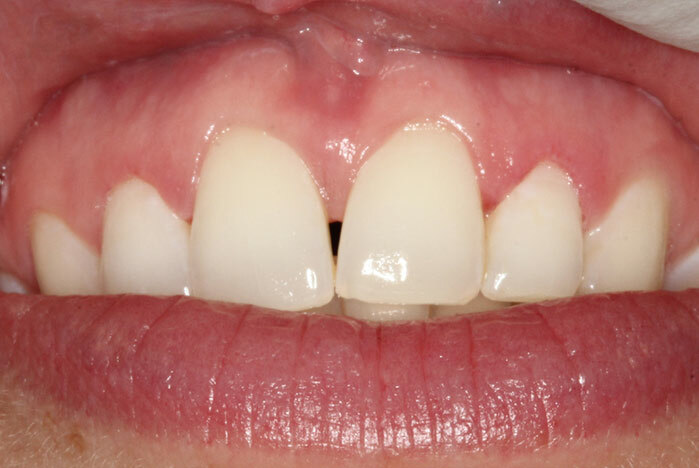 Tissue contouring, or removal of excess gum tissue, is easily attained with the use of laser. 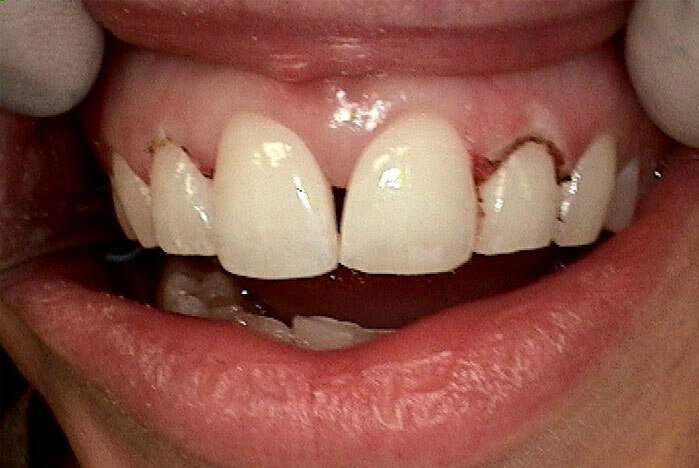 Some may have heard of this procedure from their dentist as crown lengthening. 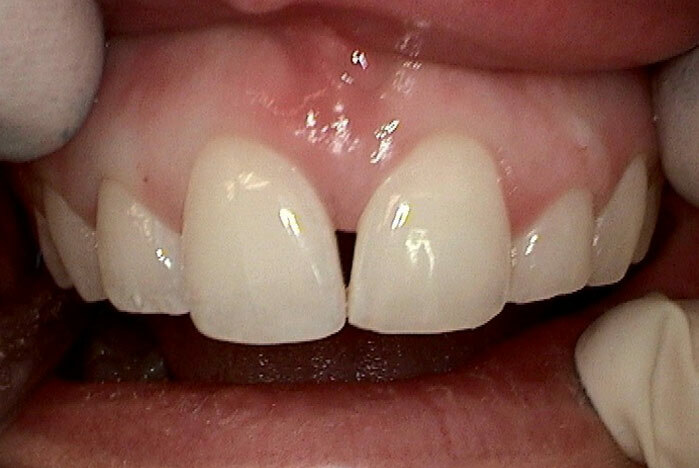 This can be done to one or several teeth to achieve the desired esthetic look. The benefit of using lasers for tissue contouring is they cauterize as they cut, minimizing bleeding and promoting faster healing. Because the procedure is more surgical, anesthetic is required for comfort measures.